After nearly 25 years of musical highlights and misadventures — from punk shows in the Pennsylvanian coal country to folk gigs along the California coastline — Bob Lewis has reached the End of an Error. Written and recorded in his adopted hometown of Nashville, End of an Error marks Lewis' first solo release in eight years. It's a musical rebirth, filled with a mix of melody-heavy indie-rock, lo-fi pop, and singer/songwriter stories that tackle big subjects — from love in the modern age to the lingering, undetonated bombs in the Vietnam jungle — without taking themselves too seriously. Mixing honesty and humor in equal doses, Lewis' album embodies the East Nashville neighborhood in which it was created: rooted in oddball charisma and genuine craft, but buoyed by enough DIY cred and off-the-cuff spontaneity to separate it from the albums made in the big-budget studios across the Cumberland. 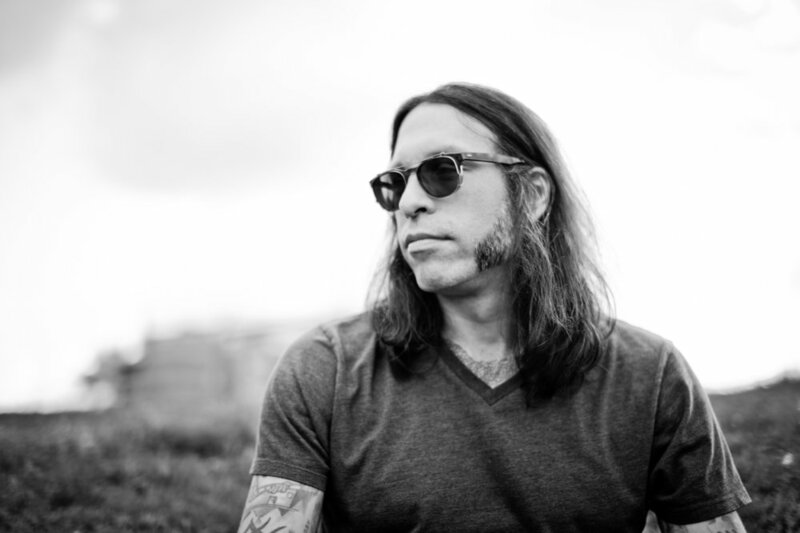 Lewis recorded End of an Error with a rotating cast of Nashville-area musicians, roping guests like Aaron Lee Tasjan, Jamie Kent, Micah Hulscher, Andrew Leahey, Megan Palmer, and others into a six-song tracklist. Planning the tracking sessions around a busy schedule filled with work shifts at the 5 Spot (one of East Nashville's longest-running clubs, where Lewis debuted several of the songs live) and scattered tour dates, he set up shop at a home studio, with Nate Wedan and Dexter Green assisting him as producer and engineer, respectively. Together, they began assembling a record that was at once melodic and experimental, filled with unexpected key changes, swathes of reverb, layers of guitar, and deceptively simple lyrics that offered new insight upon multiple listens. For Lewis, the recording process offered a chance to ditch the sounds of his past — a past that began in rural northeast Pennsylvania, where a thriving punk scene offered some reprieve from the boredom of a dead-end town, and continued on the West Coast, where a young Lewis briefly relocated in search of a place to call his own — and embrace something new. Nashville is certainly an industry town, one whose biggest artists often embrace modern trends in order to continue their hit streaks. Lewis throws that rulebook out of the window and chases his own muse instead. Songs like "Dark Glasses," whose Lou Reed-inspired verses give way to an anthemic, Springsteen-sized chorus, preach the gospel of blazing one's own trail. "Help Us Now" and "Drunk on Love" channel the chiming acoustics and bright bounce of George Harrison — particularly his work with the Traveling Wilburys — while "Long Time" puts a darker, hazier spin on the classic power-pop catalog. Throughout the tracklist, Lewis hoists his freak flag high, proudly nodding to his favorite songwriters while twisting their influence into new shapes. "I'm an AM surfer, searchin' for a signal," he sings during "Long Time." End of an Error — with its mix of the fresh and the familiar — finds him turning the dial into that unique signal, proudly broadcasting it for anyone willing to turn on, tune in, and drop out.